Today, in a world that is embracing the abundance of mass produced objects with their lost individuality and sometimes quality, we see this revival of the arts and crafts movement as a breath of fresh air. 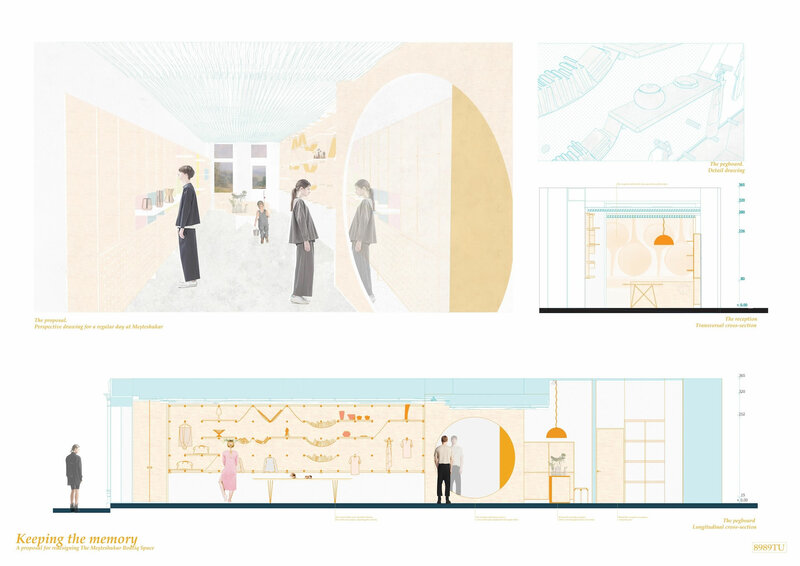 Our proposal is more than a redesign for theMeșteshukars Boutiq space. We bring forward a strategy that focuses on documenting the process of crafting, not only on selling the objects. The word craftman (meșteșugar in Romanian) can be understood in two ways: one that implies the whole process of creating and one that takes on the final product, the creation. 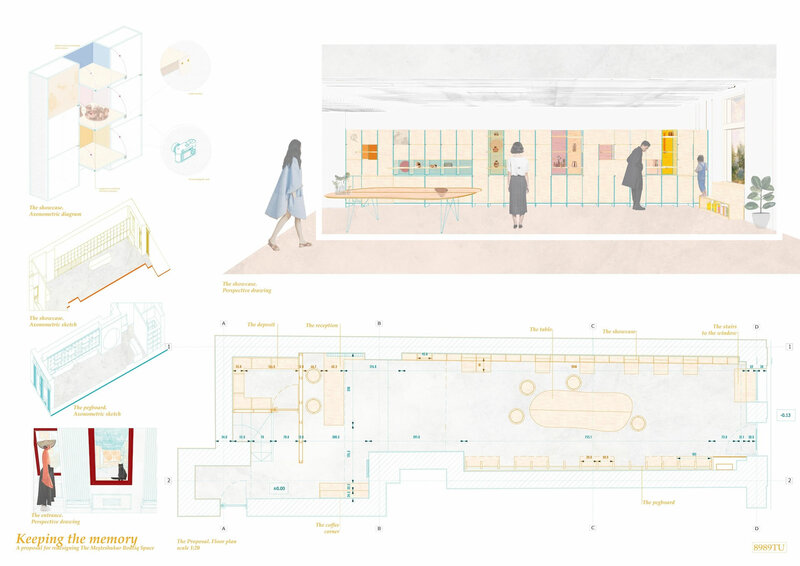 Our proposal plays with this duality, translating them onto the walls of the space: on the left we have the pegboard focused on tools and process, on the right we have the showcasewith its pivoting doors. The aim is not only to present the products being sold, but also to document them. We invite visitors to become part of the documentary process, by keeping the memory, by becoming photographers, by sharing the pictures. The showcase wall asks them to play with the objects, to position them into different kinds of mini-environments and to photograph and share them. While the central table is a place where they can exchange information, or simply socialize at a cup of coffee.  an exhibition/party: with the central space cleared, the table splits into halves that can be received by the left wall, and the showcase and/or the pegboard can act as central points for the exhibition. Through this proposal, we want to support a more conscious attitude towards the crafted objects, to transform the buyers into collaborators. The strategy consists not only in them finding out more about the objects they are buying but also in helping to create this database of the crafts, sharing the information they accumulated. This only helps create a stronger community focused on the qualities of slow design.